Marine cover-up over Haditha deaths? 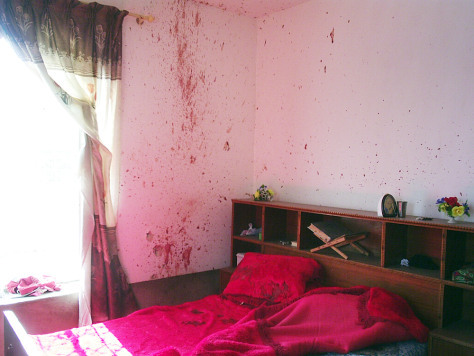 This image purportedly shows a room where some of the Haditha civilians died. A lawyer representing several of the families of victims provided the photo to media.